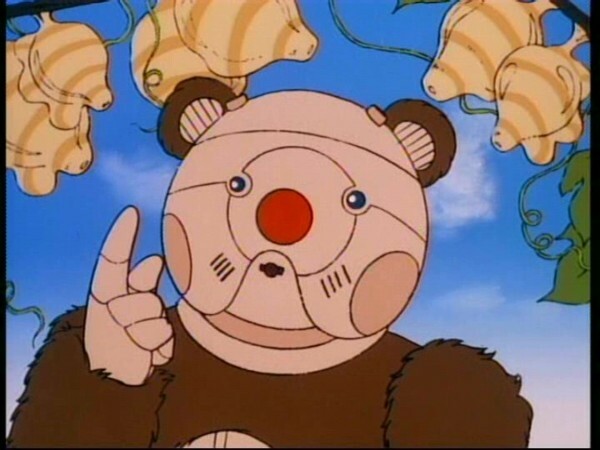 The THUNDERCATS meet the BERBILS, a group of robot teddy bear-like creatures from the planet RO-BEAR. 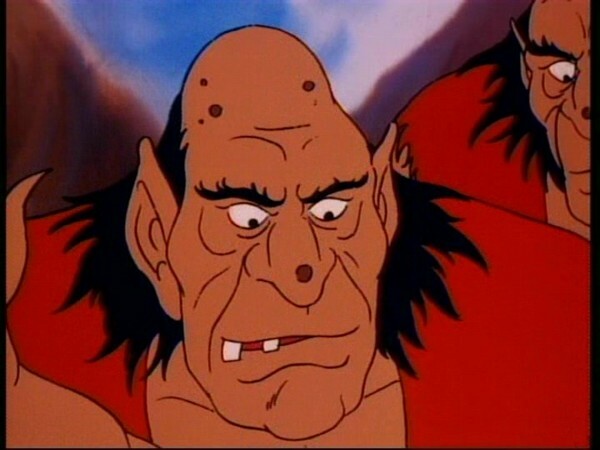 Their leader, RO-BER-BILL captures LION-0 and SNARF but the THUNDERCATS soon learn that the BERBILS are “good guys” and they help them defeat their natural enemies, the GIANTORS and the TROLLOGS. 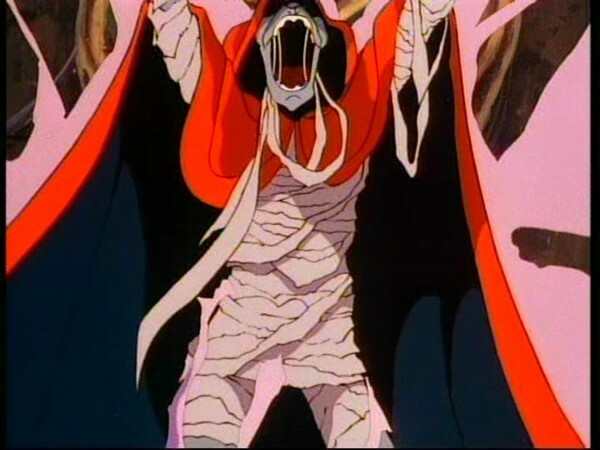 Making matters worse, MUMM-RA transforms himself into a swarm of locusts and he descends upon the BERBILS’ crops. LION-0 and the mighty sword defeat him. 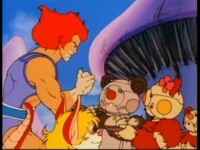 In triumph, the BERBILS agree to help the THUNDERCATS build the Cats’ Lair. Lion-O learns the value of friendship and the importance of cooperation. When groups have interests in common, joining together and sharing their talents and resources can best serve their welfare. Positive peer group relations are important for children. They provide an opportunity to interact socially, express emotions, develop a self-image, and solve interpersonal problems. Friendship expectations differ in children according to age. Younger children choose friends on the basis of common activities and propinquity. Older children choose them more on the basis of central personality characteristics and include elements of self-disclosure, empathy, and understanding in their choices. In general, friendships based on stable mutual interests are the most intimate and enduring. “Berbils” is a hard episode to review objectively. In terms of action quota, entertainment factor and originality of storyline, it comes up short against many of the other episodes from the series. However, it is nonetheless a vitally important chapter in the life of the ThunderCats, as it shows them making their first friends on Third Earth, and building an alliance that will help them to survive. 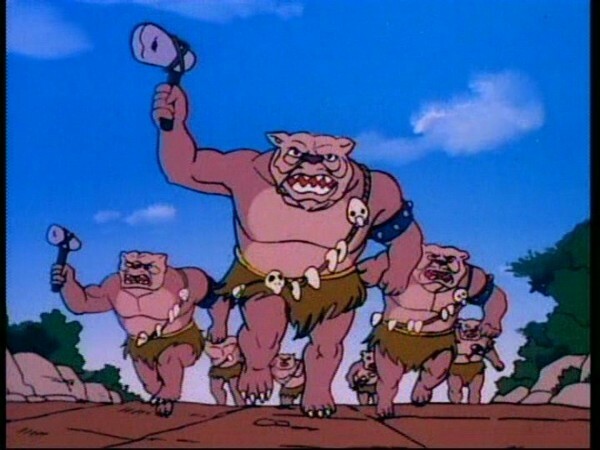 The introduction of the Ro-Bear Berbils is a highly interesting one—initially shown to be a territorial race when Lion-O and Snarf fall into one of their traps, their benevolent intentions are quickly shown when they release the two ThunderCats and introduce them to the lush splendour of the Berbil Village. 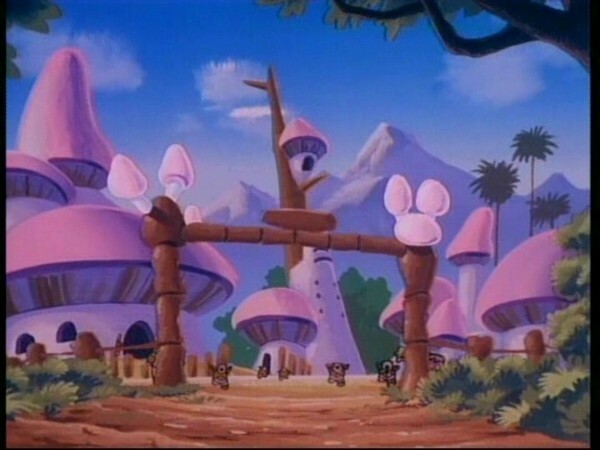 Taken in context with the rest of the series, I can’t help but feel that the Berbils setting traps around their territory is slightly out-of-character, given their welcoming, outgoing natures, but (in addition to allowing the ThunderCats’ initial meeting with the Berbils to be rather more dramatic than if they just inadvertently wandered into the Berbil Village! ), it’s possible that this is done to reinforce the sense of threat that the Berbils feel from Trollog raids on their village. 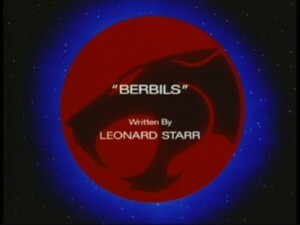 In many ways, the Berbils are the ideal first race of Third Earthers for the ThunderCats to befriend, firstly because their generous good natures and agricultural skills provide the ThunderCats with food and much-needed assistance in building their home, but also because his chance meeting with them provides a still-developing Lion-O with a valuable lesson, that things are not always what they seem. This message is something that would be touched upon in future episodes, most notably in “Good and Ugly” from later on in season 1, but in the meanwhile the Berbils help to provide an important part of Lion-O’s early character development. This episode also heralds one of the earliest instances of the great character interaction between Lion-O and Snarf. These early episodes show the great contrast between the over-worrisome elder (Snarf), and the brash, confident youth (Lion-O), made even more interesting (and at times in this episode, somewhat comical!) by the fact that the wiser of the two is also the smallest. Whilst Lion-O is clearly maturing quickly, his prideful and sometimes impulsive nature is still evident at times, and this is something that will continue to be developed throughout these early episodes. “Berbils” is not perfect—for all that a lot of action takes place, at times the pace is quite slow and it’s not hard to see why, when the “movie” version of “Exodus” was released to home video, this episode is the one that suffered the most edits. Nonetheless, in terms of the storyline of the entire ThunderCats series, it is essential that this episode takes place—an important early chapter filled with enjoyable character moments, this is a good, solid early episode from this great series. 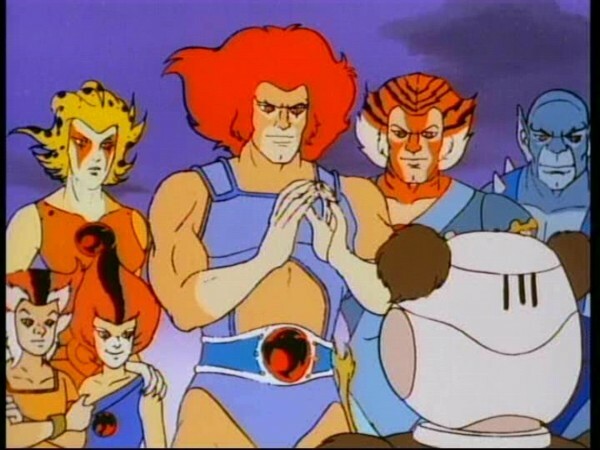 This is the first episode of ThunderCats to debut as a standard-length episode, having been preceded by “Exodus” and “The Unholy Alliance”, both of which premiered cut together as a one-hour special pilot. 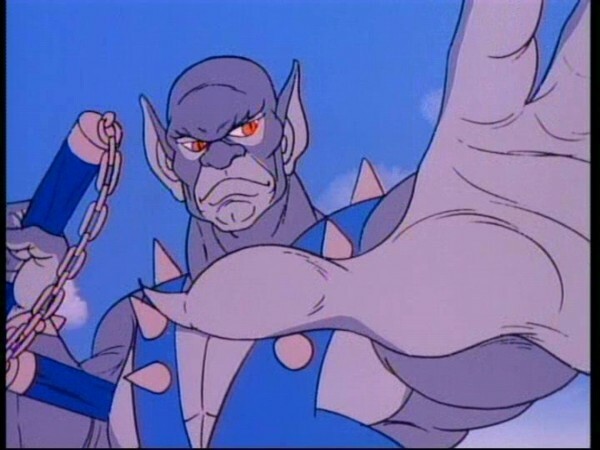 This episode was released on home video as part of the famous “movie version” of “Exodus”, which was basically the first four episodes of ThunderCats cut together to create a feature-length “movie”. However, unlike the other episodes, which made it into the “movie” virtually uncut (and, in the case of the episode “Exodus”, sporting scenes that didn’t make it into the stand-alone episode), a great many scenes from “Berbils” were cut and also re-sequenced and/or re-edited. Amongst the missing scenes are all of those pertaining to the subplot regarding the Giantors and the Trollogs, which is completely absent from the “movie”, and a great number of scenes are switched around, possibly to create a more seamless transition from the episode “The Unholy Alliance” into this one. 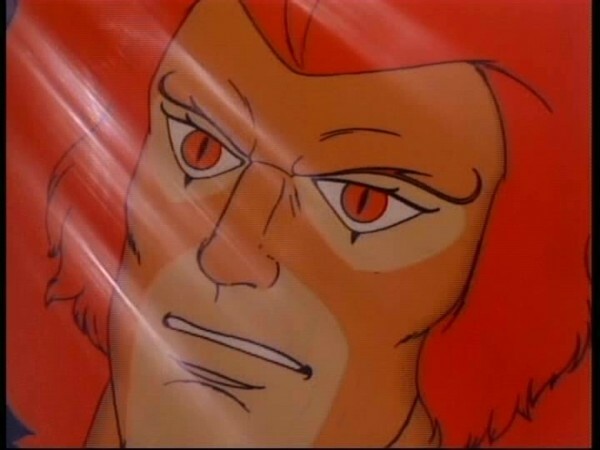 The scene where Lion-O and Snarf are first given Berbilfruit to taste is also cut into by Mumm-Ra’s transformation into a plague of locusts—we then revert back to the scene with Lion-O and Snarf, and when they are interrupted by the alert that the Berbil Village is under attack, the scene cuts to the plague of locusts. Lion-O’s line of dialogue, commanding the giant locust to take off, is also missing from the soundtrack. This episode marks the debut appearance of the most iconic of the ThunderCats’ vehicles, the Thundertank! 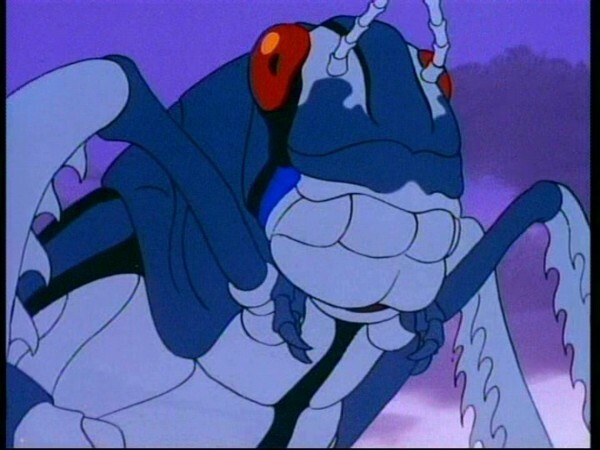 For Jaga fans, this is the first episode where the spirit form of Jaga is shown in his traditional blue-and-grey colour scheme, the first two episodes having shown his spirit form coloured in exactly the same way as when the character was shown “alive”, just with the addition of an ethereal looking hue. 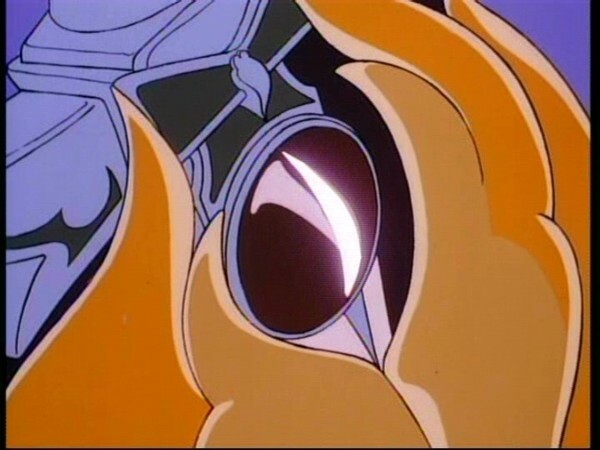 This episode shows the first occasion where Lion-O summons the Sword of Omens to his hand—this would be used again on many occasions throughout the rest of the series.